After the horrendous crash, the cars lie in the ditch along Aldine Mail Rte. The woman driving the red pick-up died after being hit by the SUV. A 14-year-old Aldine boy has been charged with murder after his SUV struck a pick-up truck and killed the woman driver. The accident occurred last Tuesday at about 2:20 pm, at the corner of Aldine Mail Route and Aldine Westfield Road. Sheriff Ed Gonzalez told the media that the SUV driver was traveling at a high rate of speed westbound on Aldine Mail, failed to stop at a red light, and struck the side of a red Ford F-150 pick-up headed southbound on Aldine Westfield. The driver of the pick-up, Silvia Zavala, 45, was killed in the accident. The GMC Acadia SUV that struck the truck had three teenage boys inside, who had been throwing eggs at passing cars. One of the cars hit by the eggs decided to chase the boys, and they were traveling at a high rate of speed to avoid being caught. Some reports say the driver of the car chasing them brandished a gun, adding to the mayhem. The 14-year-old SUV driver suffered a broken ankle, one other was injured and taken to LBJ hospital, and the third was not injured, in spite of the fact that both vehicles were thrown up into the air by the impact, landing in a ditch along Aldine Mail Route. The pick-up in which the woman died was upside down, and torn apart by the crash. U.S. Congressman Gene Green, center, was honored by the Aldine ISD Board of Trustees during its Dec. 18 Board meeting. Congressman Green was honored for his 25 years of dedicated service to the district while serving in the U.S. Congress. Pictured with Congressman Green and his wife Helen, were: (l-r): Vice President Paul Shanklin, Board Member Patricia Ann Bourgeois, Board Member Dr. Kimberley Booker, Board Member Dr. Viola M. Garcia, Aldine ISD Superintendent Dr. LaTonya M. Goffney, President Steve Mead, Secretary Rose Avalos, Assistant Secretary Connie Esparza and Deputy Superintendent Dr. Selina Chapa. 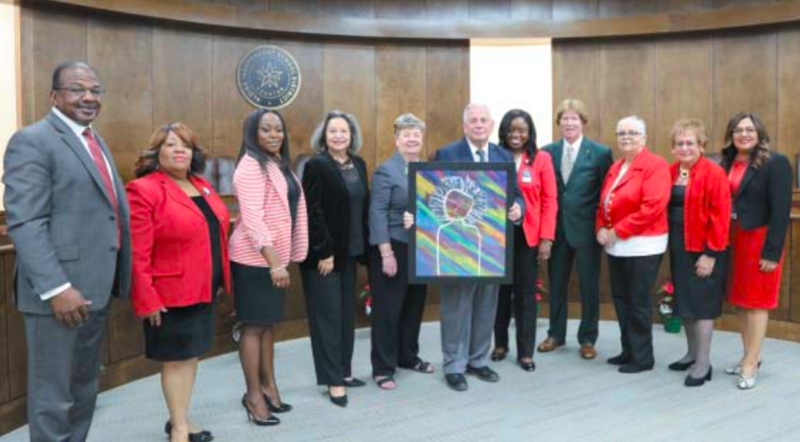 During the Dec. 18 Board meeting, Aldine ISD honored U.S. Congressman Gene Green for his decades of dedicated service to the school district. Congressman Green is retiring after serving the North Houston area and Aldine for 25 years. AISD thanked Congressman Green for his outstanding support of the district as a parent, a state representative, a state senator and as a U.S. Congressman. Mr. Green has supported Aldine ISD by holding an annual job fair at the M.O. 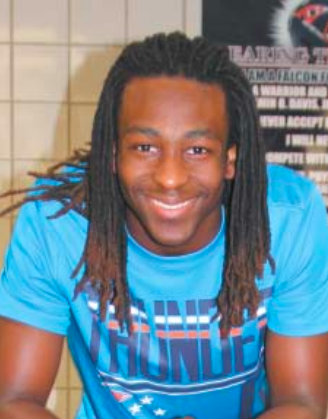 Campbell Educational Center, he’s supported the district’s C.H.I.C.K.E.N Club, supported the district’s FFA students by purchasing student projects at the annual Sale of Champions, held financial and immunization workshops across the district and played in the M.B. “Sonny” Donaldson Golf Tournament, which benefits the Aldine Education Foundation.